In the spirit of yesterday’s post, here are details on some of the recent updates and happenings. – Running! I did my first hard workout yesterday at the Carleton arb. It was 10 x 60 seconds with 90 seconds recovery. I think it went well… as well it can go for someone that is just starting to train again. I think I need to learn how to pace better. I haven’t looked at my data, but I think that’s what I’ll see. Today I ran 5 miles, nice and easy, in 42:29. I was lucky today to run with my friend Teresa. She’s super cool. She is my age, was a D3 All-American (steeplechase), just moved in with her boyfriend Marco into Craig’s house so she lives a mile away from me. In typical Nichole fashion, I started to help her organize her bathroom because I wanted to help (and she is super cool, like I mentioned). But, I took too long to finish it… so she had to finish it herself. Ug! Grr! So, now I need to find ANOTHER project to help her with. One that I both start AND finish. Hmmm. Ideas? I need a small room, a small task, and a fun way to do it. Ready… set… go! – We need to take an 11 month old picture for Greta! But, she needed to go to bed before we had a chance to snap a picture. So, that gets put on the “to-do” list for tomorrow. Here’s what she looked like last month. This is what she looked like last month! But, really, taking photos of her now mostly devolves into a game of her trying to eat the sticker. – I went to a VIP event today at Zupas, a new (awesome!) restaurant opening up in Woodbury in October. I can’t wait to write a blog about it and to have everyone that lives around that area visit it! Great food, big portions, clean atmosphere! 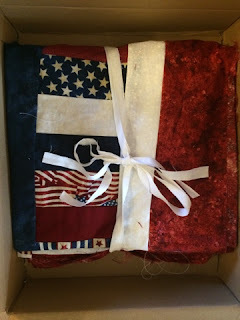 – Last week, I had the chance to make a quilt top for an American soldier returning from Afghanistan. He was returning in less than 7 days, so time was short. Could we do it? We did! 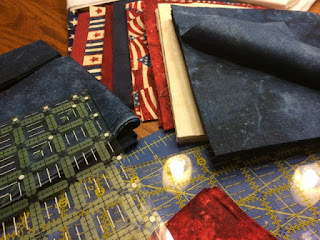 I loved doing it: communicating with the client (his future Mother in Law) to figure out their needs and wants, buying the fabric, planning the pattern out from scratch, cutting, and finally piecing and sewing it all together. I loved the entire process. All of it. I even sent the quilt cutely packaged up. She loved the finished product so much that she asked me to make another quilt later on for her (top secret design/purpose). I think I will! It will be something fun to do, allow me to be creative, etc. That led me to thinking: I like quilting, I’m good at it, maybe I could start to do this for fun on the side. I could advertise on the blog (as in, make a tab here, how fancy). Brilliant! -they may want a quilt! -they may want me to make it! 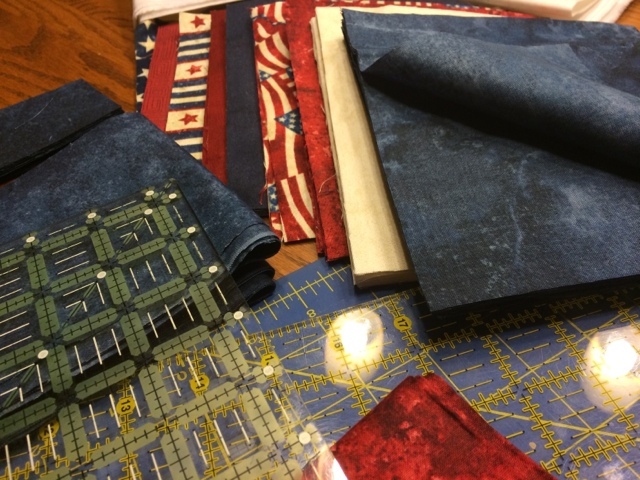 -they may not know which, or want to pick out a pattern I could help! 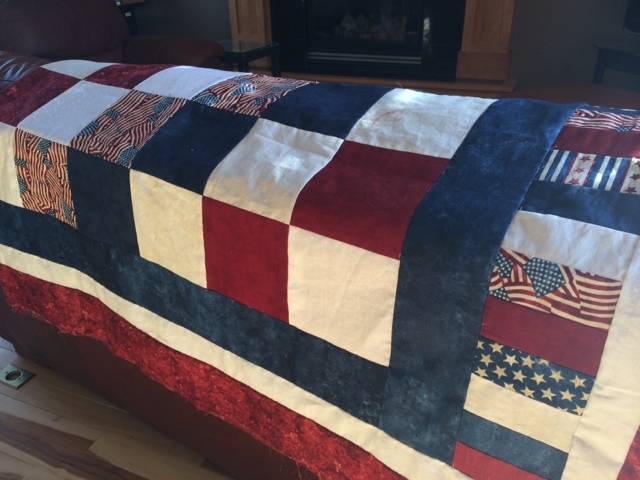 -my mom and aunt also quilt, and are also great at it. -you can see where this is going… but, one step at a time. So, I think you can see why my head is reeling with ideas, and also processing life at the same time. So, what am I going to do tomorrow? Carry on, my folks, carry on! One day at a time, having fun living life as always! I have to “run” off to bed now. See y’all tomorrow. What was your workout today?! Previous Post: « O. M. G.
Yay, glad you're back!! My workout, also courtesy of you, was 10 miles with last 5.5 @ just under goal TC 10 race pace. Lucky you. How did it go?!? I checked this morning and didn't see. How is Spain?!? I love reading your blog!!! So glad you are back 🙂 I need to come and join you for an "easy" day in Northfield this fall! I had two distance sessions yesterday (nothing too exciting). I would LOVE to have you down! I'll send you a quick note to see what your schedule looks like! Plus, you need to play with Greta — and she needs her "gift" from her favorite speedy skier! 6 easy (8:00 pace) miles! Welcome back to the internet, btw. Easy ten miles for me. So thrilled you are back to blogging! Greta is beautiful!! "Easy" 10, eh? Can't wait to get back there. What are you training for? Is it going well? How soon is it? Walking on my lunch break. It's so good to see blogs from you again, Nichole! I miss running and walking around Red Wing! I really miss the people! Do you get out every day? Might actually be my first week off since giving birth….😖. Or I might hit the dreadmill in the hotel later. Lots of house shopping going on here! Good for you getting back at it! Are you sore at all? Good for you! You needed it!! Not sore yet, but it's coming I'm sure. My goal is just to stay smart when I'm getting back into it. Talk soon! 14x 400m at race pace…10 miles total…I've been feeling good! Can't to hear more from you! Have a good one and good luck with the job! Walking Sierra to the bus stop and back, better pace without her. Four blocks there, four blocks back. And will do it again at 4 p.m. every day I try and get home faster! I did 6 x 1500 m intervals on a rowing machine. These workouts are based on your "ask the coach" blog, where Caitlin Gregg as a "guest coach" gave the thumbs up for rowing as a good compliment to rollerskiing. It is working great and I am gunning for a wave 1 qualifier at the Birkie this winter. So thank you for the forum!! Went on a run in Boulder (5,500 feet) expecting to run a mile, ended up running 2.5 on an adventurous loop. One of those, this should get me back there, I believe I saw a trail looping around. It didn't. ended up running next to traffic, sun beating down on me (it's fairly intense here). Glad I did it though, it was good to get out and do something different. It's interesting how the summer at your place really helps encourage me to take that turn and make it a little longer. Because hey, why not.